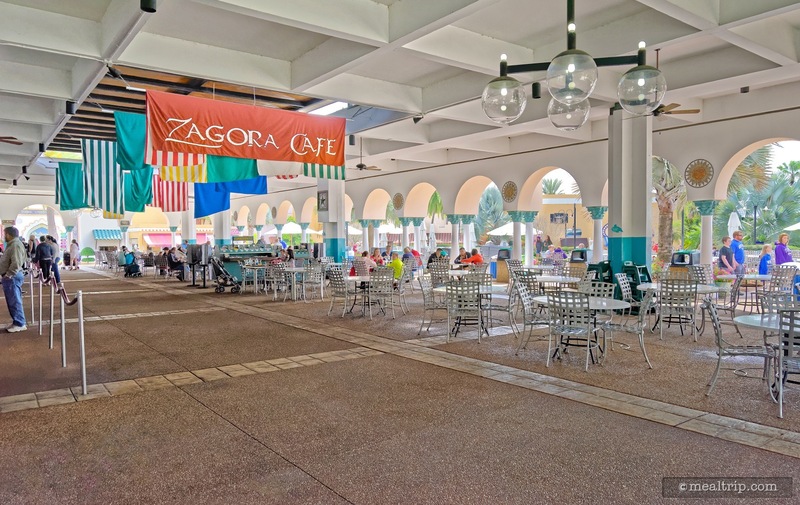 The Zagora Cafe listing is a Counter Service (quick service) dining location at Busch Gardens Tampa featuring American cuisine. There are 9 photos in the Mealtrip photo gallery for this location and dining period. 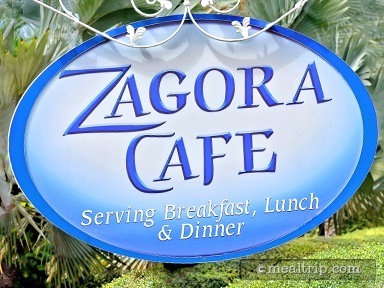 The Zagora Cafe listing currently has a score of 88 out of 100. 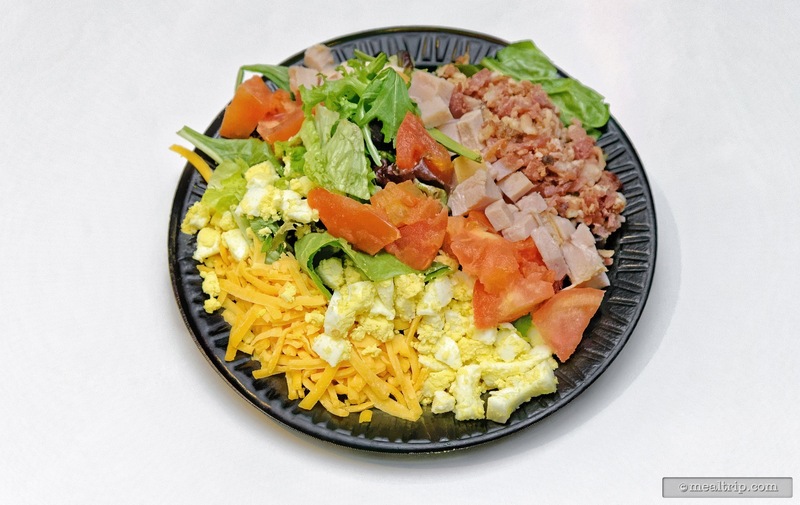 Click here to read all of the reviews for this location, or log in to Mealtrip.com to add your own review for Zagora Cafe. The main walkway sign to Busch Garden's Zagora Cafe, in the park's Moroccan area. 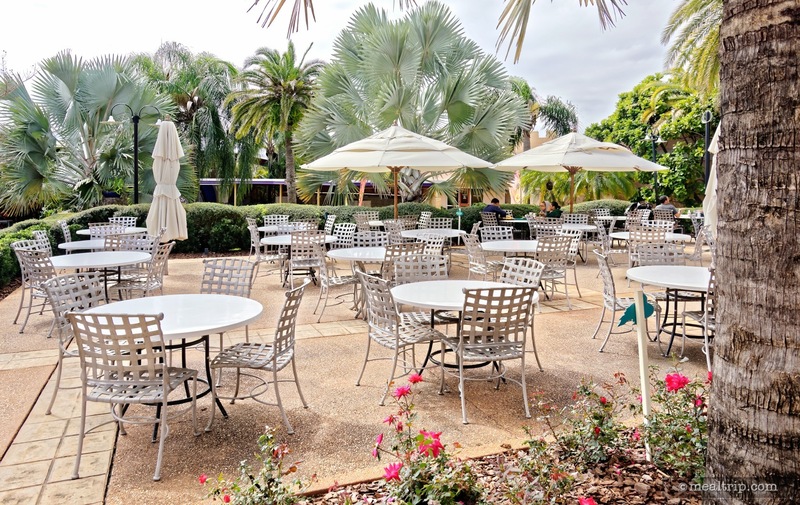 There are quite a few outdoor tables at the Zagora Cafe. 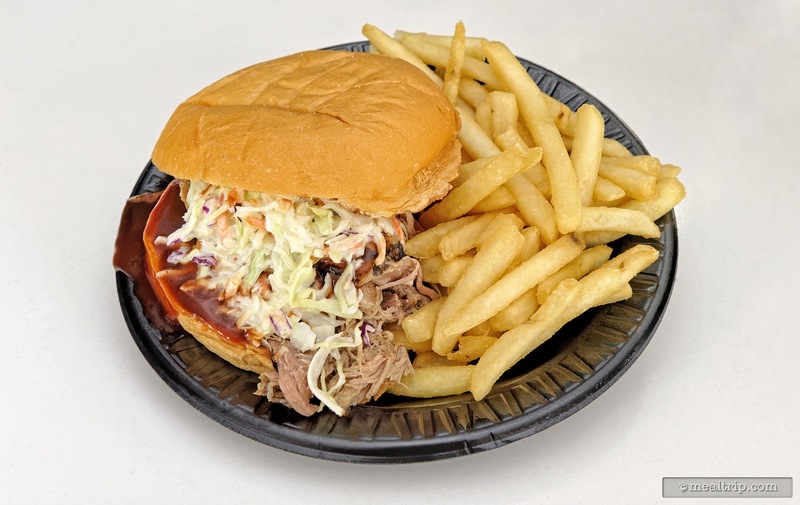 A barbeque pork sandwich with fries from the Zagora Cafe. 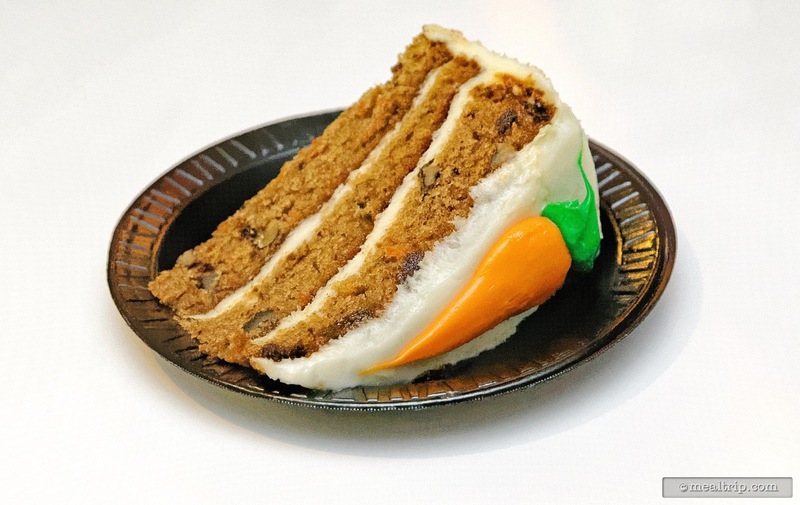 A slice of spice-carrot cake is one of the dessert options that you will find at most counter service locations. This carrot cake is from the Zagora Cafe. 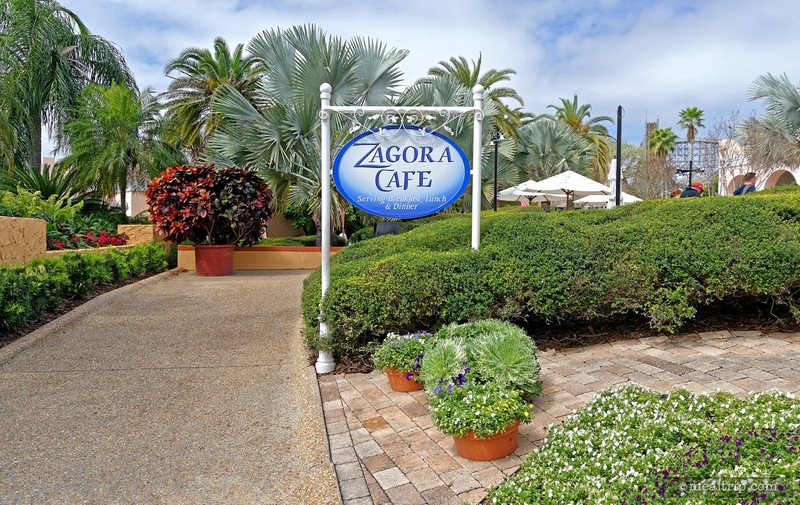 The under-cover seating area at Zagora Cafe is easily accessible. In this photo, the main order and food pickup area is along the left side. 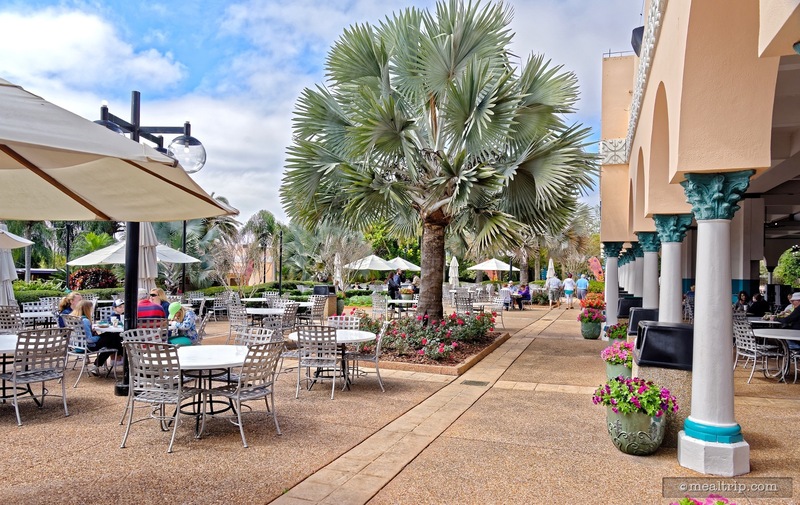 One side of the open-air seating areas at the Zagora Cafe. About half of the seating at this location is fully open-air. 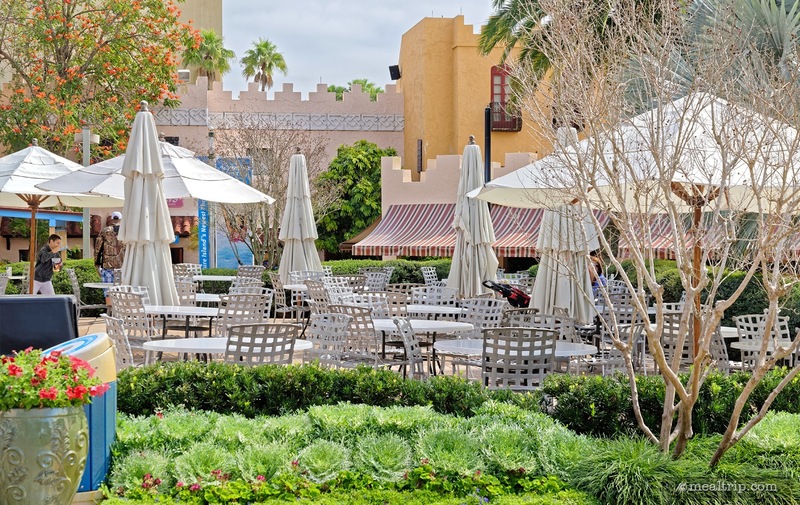 The Moroccan themed building facades give the outdoor seating area an open-bazaar feel. 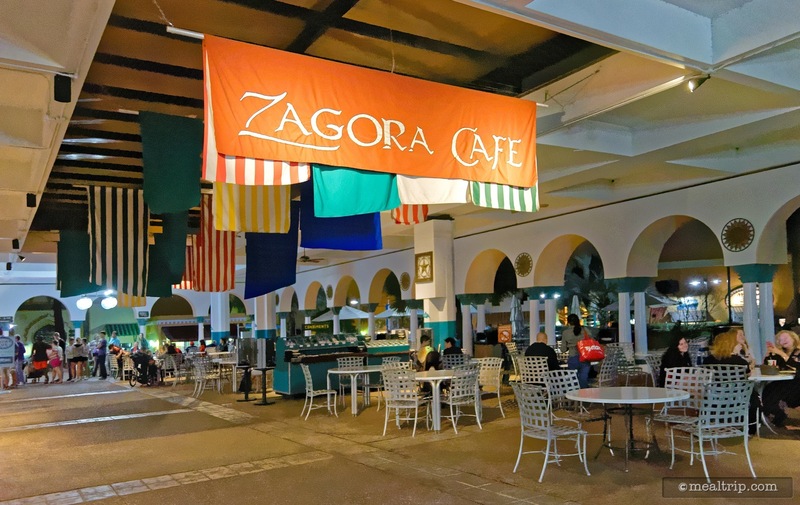 The Zagora Cafe area is open late, right up until park-close usually, so it's a good bet if you want one last snack before leaving Busch Gardens.